Bring colonial and cottage charm to your Mexican living room with these remarkable pieces. Wonderful wall unit for displaying Talavera or other artifacts, organizing books and music, as well as for adding architectural richness and elegance to your Mexico home. Beautifully soft to the touch yet highly durable texture. Kiln-dried solid pine. We can hardly believe we can offer you this amazing value. Ideal for Merida, San Miguel de Allende and other colonial areas, where high ceilings are the perfect backdrop for such "large-presence" pieces. 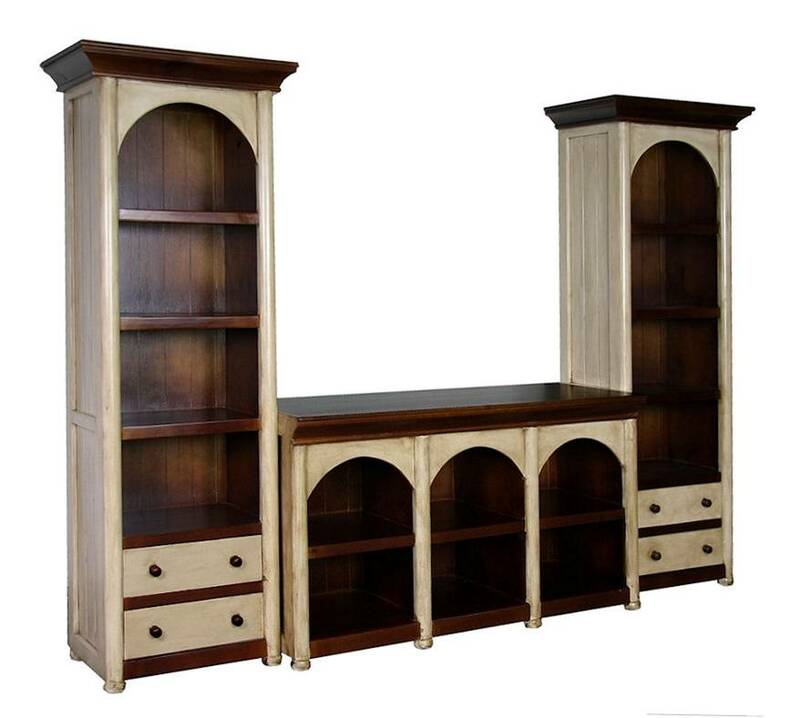 Includes two bookshelves (74 x 47 x 200), one TV stand (150 x 58 x 84).